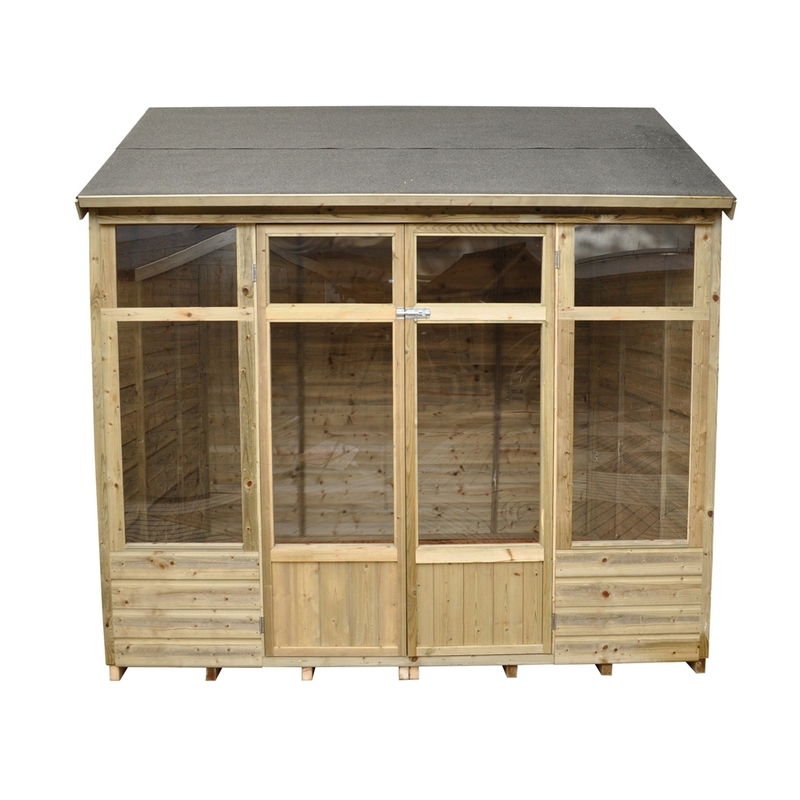 This summerhouse is a unique reverse apex roof which provides a spacious interior. 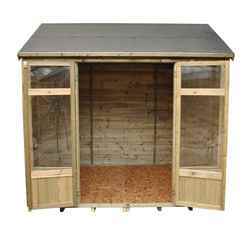 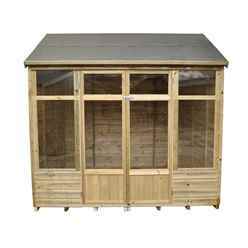 The Honeysuckle summerhouse has double glazed door and two tall windows which allow plenty of natural light to enter and gives you a relaxing place to lounge in your garden. 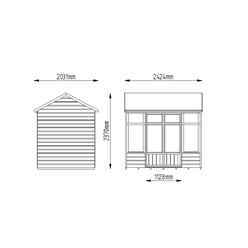 This product is manufactured from pressure treated shiplap timber for increased strength and durability.